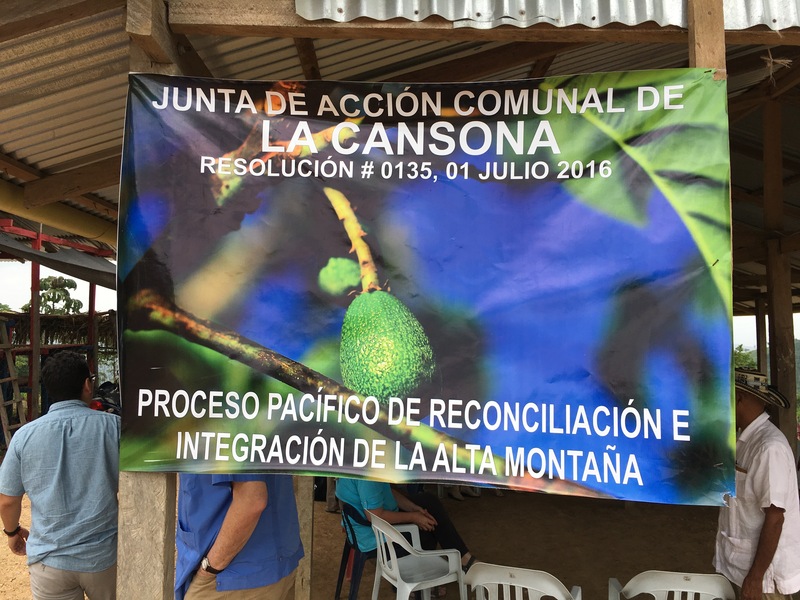 I’m just back from accompanying WOLA’s board of directors on a 5-day visit to Colombia. After a board meeting in Bogotá, we visited the Montes de María region. This wasn’t an in-depth research visit, so I don’t have a lot of photos, but here are a few. 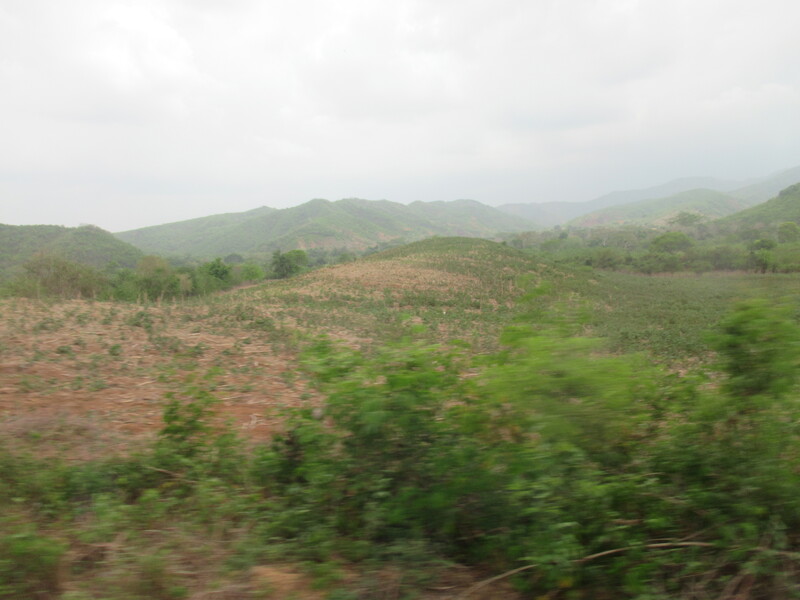 We took WOLA’s board to Colombia’s Montes de María region, inland from the Caribbean not far from Cartagena. This zone of smallholding farmers was hit very hard by Colombia’s conflict, especially during a 1999-2003 paramilitary onslaught that massacred hundreds and displaced over 100,000. We went to the hamlet of La Cansona, one of the highest points in the Montes de María, in El Carmen de Bolívar municipality. The village lies along a new road (with new power lines). 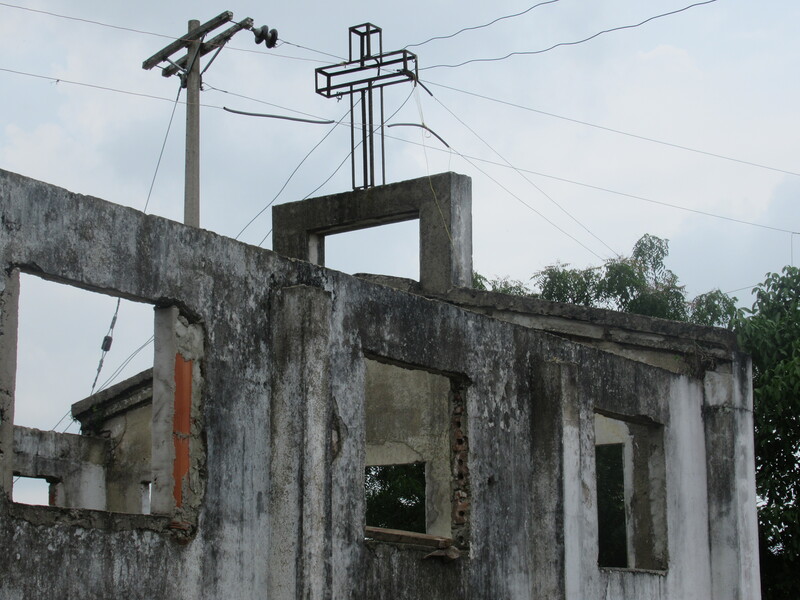 This was one of the FARC’s last strongholds in the region: its leader in the area, Martín Caballero, was killed in a 2007 bombing raid in this area. Violence during this period destroyed La Cansona’s church. The new road and power lines going through La Cansona are the direct result of a well-organized community, which petitioned for these services with a 2013 march and road stoppage. Local campesino organizations ran their own municipal council candidates in 2015, and surpassed the minimum vote needed for legal party status. Their most prominent leader, Jorge Montes, was just sentenced to 39 years in prison on charges that every human rights defender in the region emphatically believes were trumped up by local elites.